Michelin, one of the global leaders in aviation tyres, will now be IndiGo’s trusted partner for the long-term supply of tyres for its Airbus and ATR fleets. The entire fleet will be equipped with environment-friendly ‘Michelin AIR’ fuel-efficient tyres. 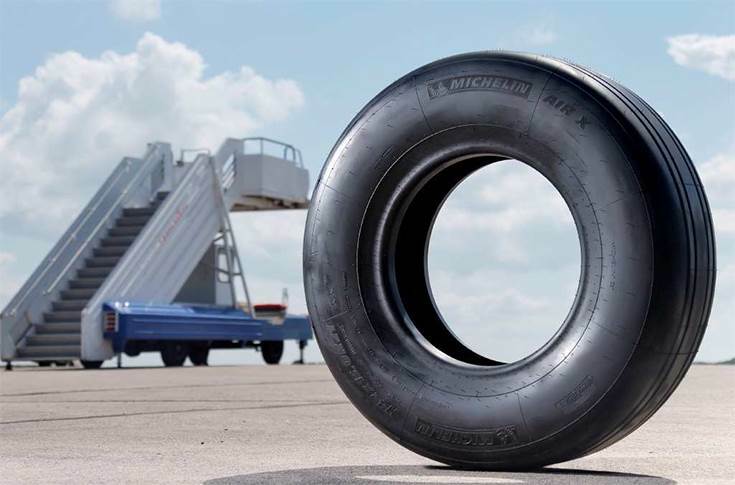 The French tyre manufacturer claims that its 'Michelin AIR X' radial tire will provide an overall reduction in the operational costs through an increased number of aircraft landings, better fuel efficiency and exceptional resistance to foreign object damage. They are also said to be environment-friendly due to radial casing design, utilisation of fewer components and less fuel consumption leading to less CO2 emissions. Frank Moreau, president of Michelin aircraft tyre, commented, “Our tyres are perfectly adapted to the needs of the airlines. It not only combines a high level of safety in extreme conditions but also guarantees a large number of landings, thus, allowing fuel efficiency and environment friendliness”. The close strategic partnership forged between IndiGo and Michelin is poised to bring significant value to the aviation market not only in terms of enhanced safety and efficiency but also in terms of contributing to a more sustainable and eco-friendly environment. IndiGo currently operates flights to 48 domestic and 11 international destinations. IndiGo has a fleet of Airbus A320 Neo aircraft in its fleet, for which Michelin also happens to be an OE tyre supplier.